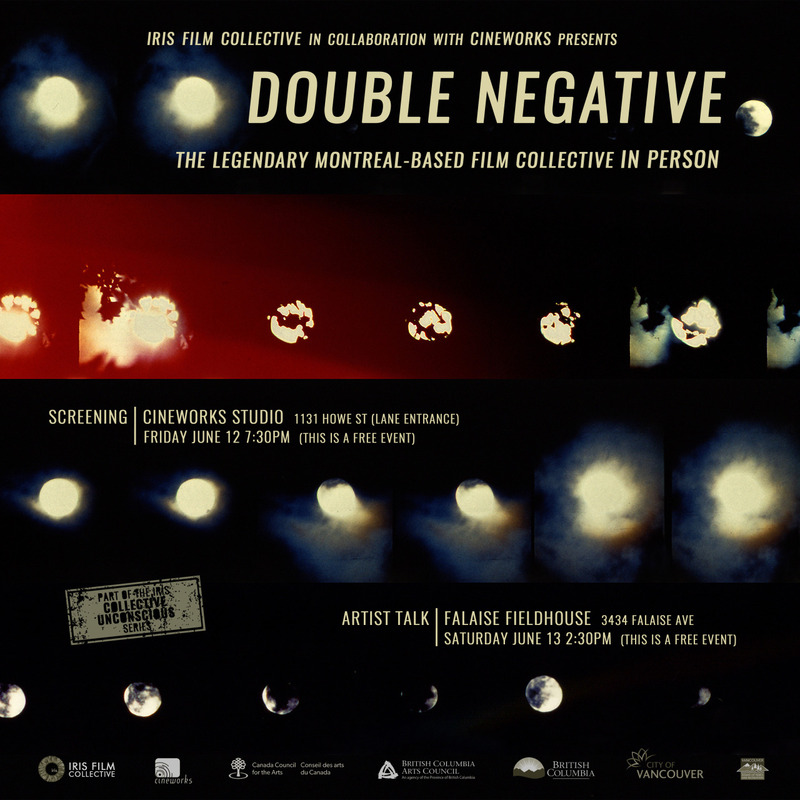 The films of Double Negative will screen at Cineworks June 12 followed with an artist talk at the Fieldhouse June 13. Works from Lindsay McIntyre, Mike Rollo, Eduardo Menz, Charles André Coderre, Karl Lemieux, Malena Szlam and Daichi Saito will screen. Thanks to Alex MacKenzie and the Iris Film Collective for organizing this screening!